This informative CLE bundle will provide 5.0 online CLE hours (from previously recorded programs) including 2 hours of ethics. Attorneys in Kansas may fulfill up to five (5) hours of the 12 hour requirement, including two (2) hours of Ethics with online pre-recorded programs that have been pre-approved by the Kansas Continuing Legal Education Commission. Every year by June 30, Kansas attorneys are required to complete 12 hours of Continuing Legal Education, 2 hours of which must cover Professional Responsibility. Of the 12 hour requirement, attorneys may fulfill up to 5 hours through online pre-recorded programs, as well as 5 hours through Live Webcast Programs from MCLEZ. 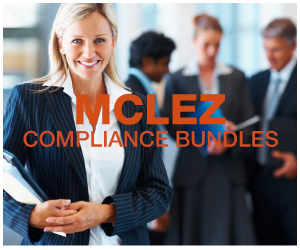 MCLEZ provides online continuing legal education courses that have been individually pre-approved for online CLE credit by the Kansas Continuing Legal Education Commission.